Sport has been a central part of Australian broadcasting since television was first introduced in time for the Melbourne Olympics in 1956. Since that time Australian sports broadcasters have been world leaders in innovation and technology. Back by popular demand! 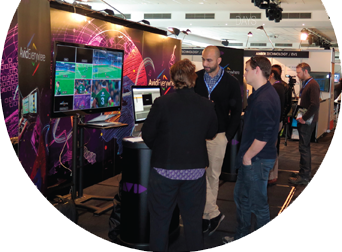 Melbourne will see the return of Sportscasting, now incorporating News & Live Production for a 2 day conference and exhibition on October 26 – 27, back at Etihad Stadium. Given the air time committed to sports and news broadcasting across free to air, subscription and online networks; these segments play a pivotal role in the future of broadcasting. While drama, documentaries and general viewing undergo ups and downs, the investment in these areas of coverage and transmission has continued to grow. New technology and production drive these segments to new levels, both locally and internationally. With innovations in technology comes expanding markets. Professional sporting clubs and associations are looking to the future and a big part of their vision is improving and upgrading the recording and streaming of their own content. The Sportscasting, News & Live Production Conference & Expo will be the platform for sharing information and ideas between broadcasters, technology providers and sporting bodies. Keeping it simple is the name of the game. 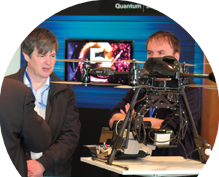 A select group of exhibitors will showcase the latest products and services to their target audience from the broadcast, news and sporting worlds; providing an intimate environment to network and build relationships with existing and new customers. 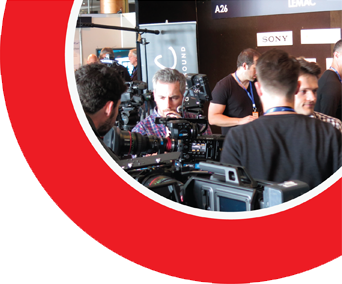 From live production to delivery, the monetisation of archives, performance analysis and in-venue solutions; the Sportscasting, News & Live Production Conference & Expo will cater to all tiers of broadcasters, rights holders, venue managers, and sporting groups and associations.